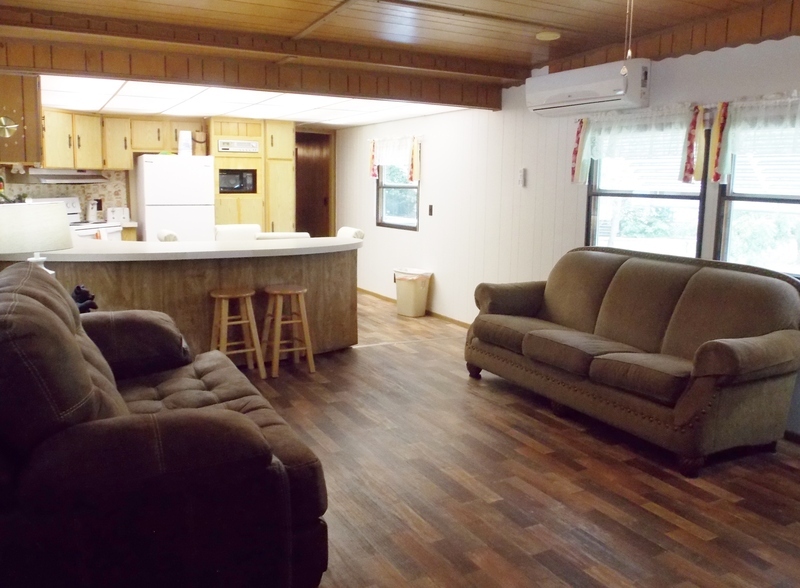 Royal Coachman is a 2 bedroom/2 bath modular unit. Each bedroom has a queen sized bed. In addition, there is a twin sized roll away cot. 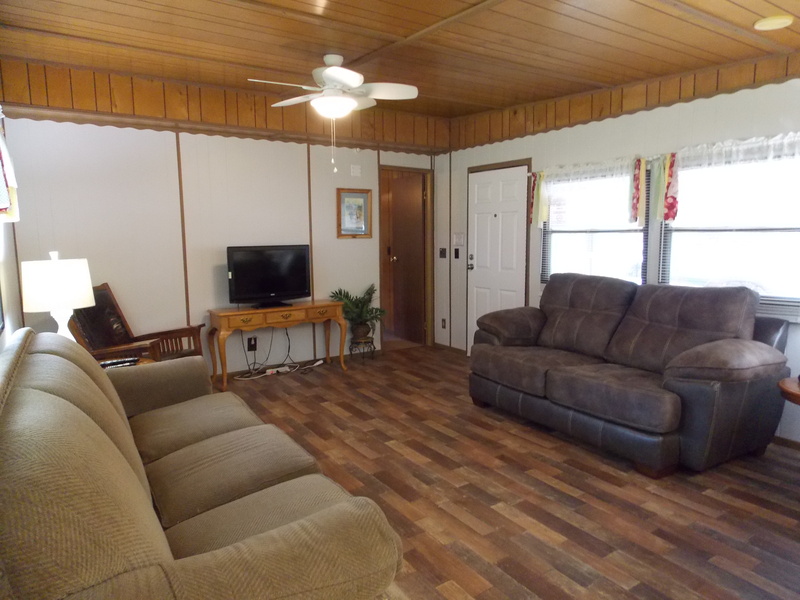 Livingroom has 2 couches and a rocking chair, tv. 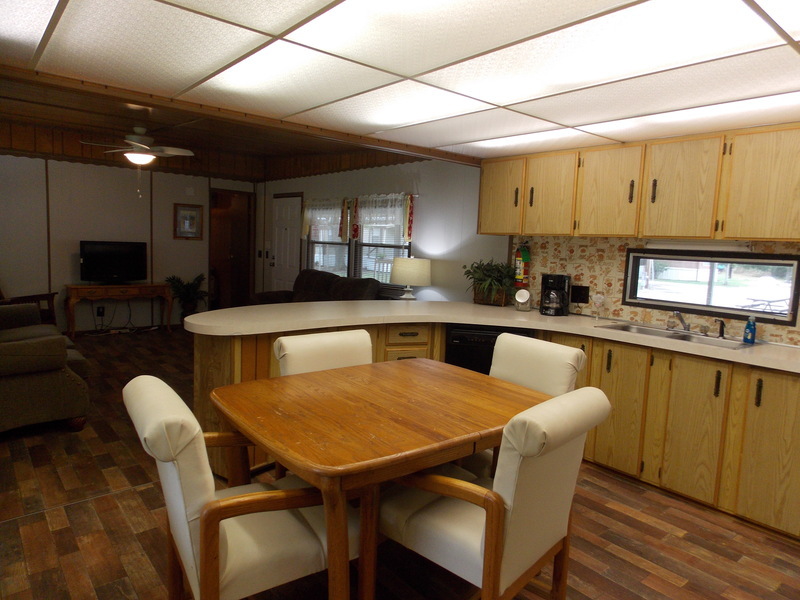 The large kitchen is fully furnished, has a dining table for 4, AND a breakfast bar w/ stools, dishwasher, stove, refrigerator, coffee pot, & toaster & outside propane grill. One bathroom is a tub/shower combo and the other has a small shower. 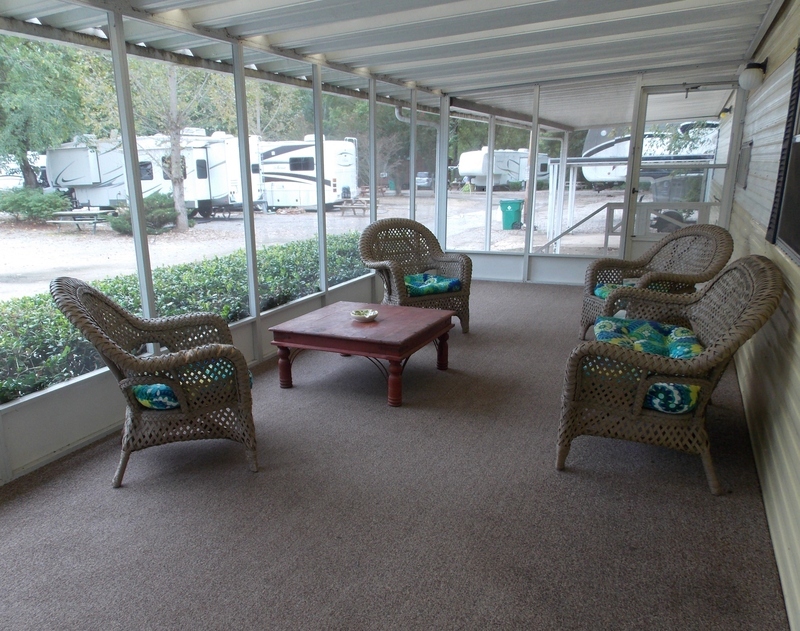 The Royal also has a fabulous screened in porch with wicker furniture. Now, the Royal doesn't look at the river, but you're just mere steps away !! 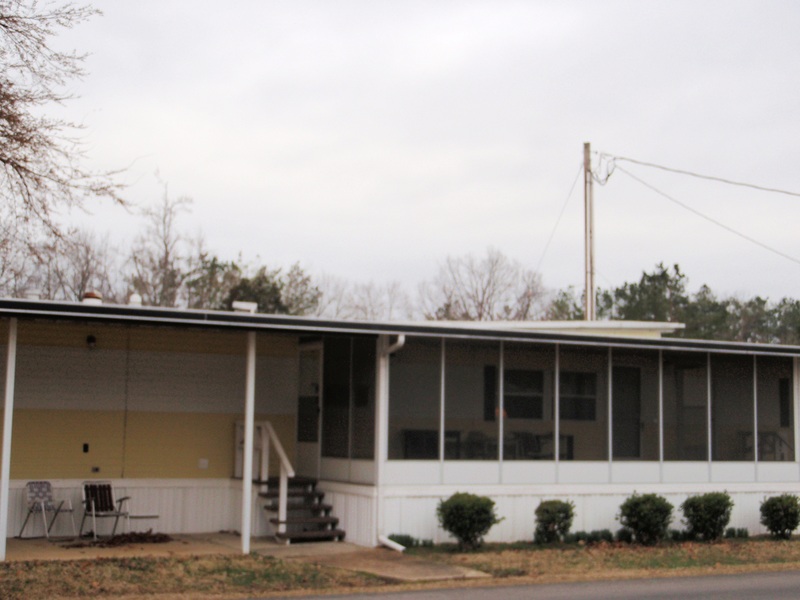 We promise it will more than meet your expectations! $ 115.00 + tax for 2 people ($125.93 nightly for 2 people) For additional people, add $ 10 plus tax per night, per additional person.